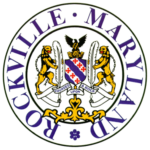 The Rockville Sister Cities Corporation receives its support from membership dues, fund raising events held throughout the year, and from the City of Rockville. Members receive periodic newsletters, invitations to regular social events, the annual meeting, and special receptions for visitors from Pinneberg and Jiaxing. Members also have the first opportunity to participate in occasional trips to Pinneberg other European cities, and to Jiaxing at special rates. Many friendships evolve through hosting and being hosted. RSCC members come from many backgrounds, but share a common interest in making our world a little smaller, a little friendlier, and a little more easily understood through partnership with a similar city in another country. Members enjoy getting to know their neighbors in Rockville who share the same interests and working together on projects to support exchange programs. Memberships are for the calendar year, January through December, and are not pro-rated. Please help our Treasurer and Membership Chair by joining or renewing during the January-February time frame. but as a minimum your name, address, phone and type of membership). The Rockville Sister City Corporation gratefully wishes to acknowledge the following Corporate Sponsors. Please remember our Sponsors in your shopping and professional travels.